Yeesh. 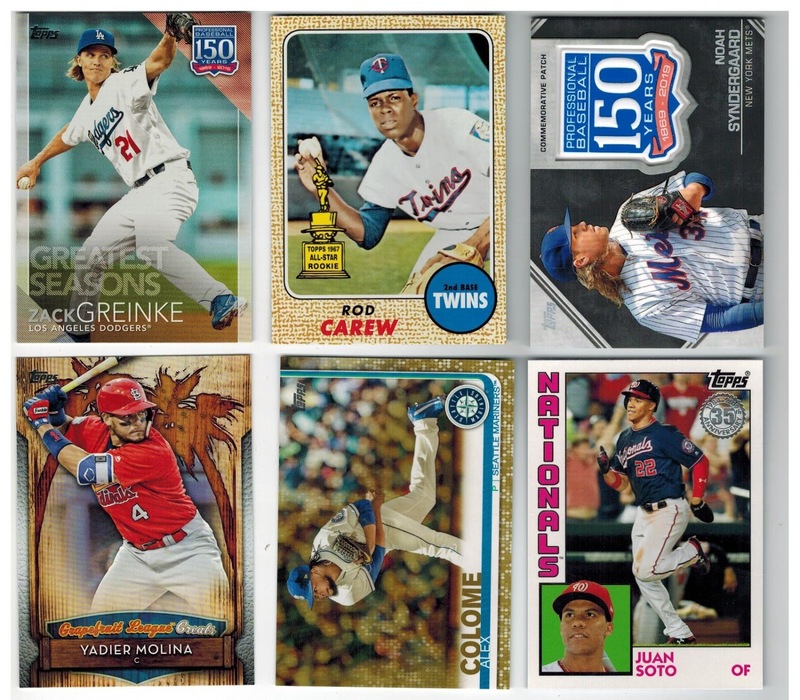 I think I'm done buying packs of Series 1. I have pulled tons of doubles, and just not that many Red Sox cards. 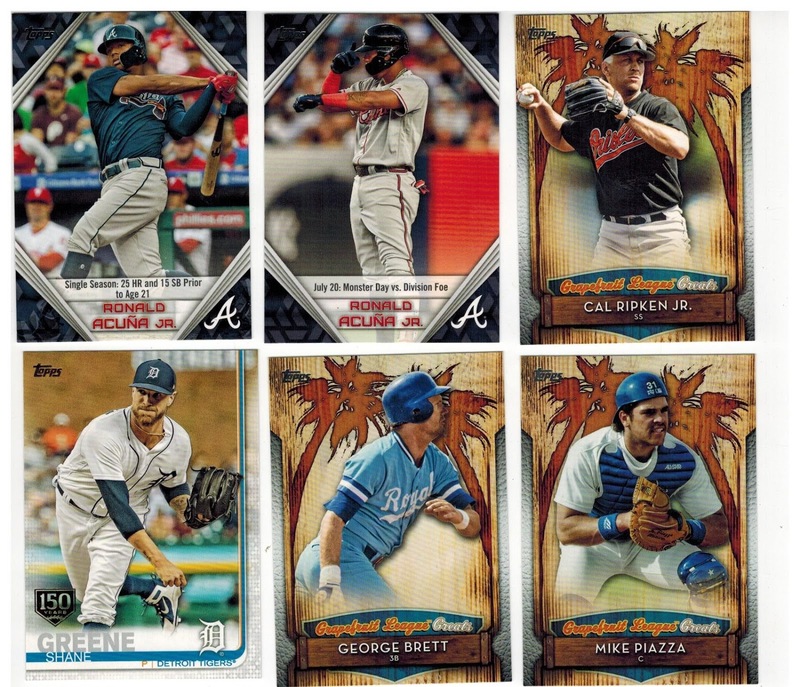 I have managed to pull just seven base cards and one insert so far, way off the mark with what I have pulled for other teams. No idea why that is. And it is frustrating. So here are the Red Sox cards. 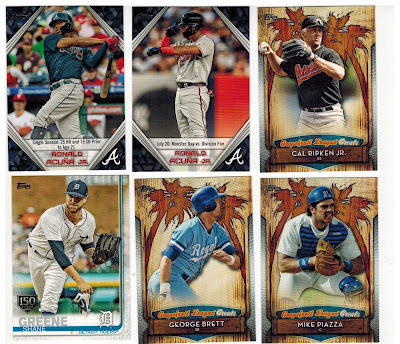 Technically I pulled three, but one was the Jackie Bradley Jr. card that I already owned. 1. 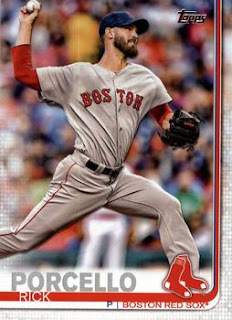 Rick Porcello. Porcello will likely go down as one of the more baffling Cy Young choices in recent years. Oh well. He is still just one of four Red Sox to win the award so far. 2. Mookie Betts LL. 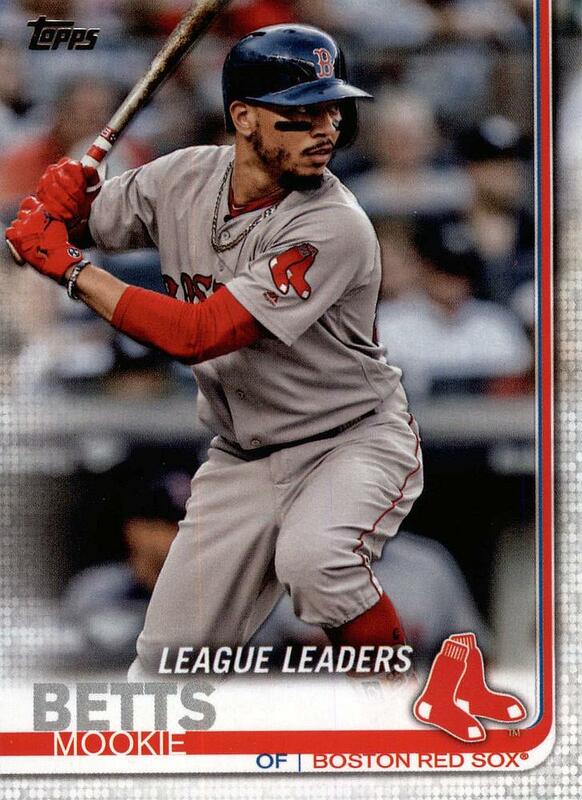 Betts is the first Red Sox player to win the batting title since Bill Mueller in 2003. That is actually a very lengthy gap. The Red Sox have had at least one batting title every decade since the 1930's. Here is the tradebait. If anyone wants something, let me know what you have for Red Sox. Once again, not a good showing for the Red Sox. The Red Sox are falling well off the pace. This is annoying. Not sure how it is so hard to add cards of the reigning World Champs, but wow. I pulled the same cards of the same players over and over. Between two blasters and a hanger, I got 3 of some Yankees players and 0 of others. Mostly a collation issue, I suppose. The Porcello Cy Young choice was a surprise, but he still maintained a solid ERA and won a ton of games. Even as a Red Sox fan, Verlander would've been my choice. I will put those together for you and send out an email. Thanks. Disclaimer All opinions expressed herein are solely my own, and do not reflect the opinions of my current or former employers, or any other person or entity with which I am or have been affiliated. I am a small-town attorney with a passion for heavy metal music and baseball. This blog will be about those things and whatever the hell else I feel like. Nothing in this blog is intended as legal advice, and does not create an attorney-client relationship. All legal discussions are strictly informative, not advisory, and accuracy of the information is not subject to any warranty, express or implied. If you choose to rely on such information, you do so completely at your own risk. If you believe you may have a legal issue, an attorney licensed in your jurisdiction can provide legal advice which will take into account your own unique circumstances and the applicable law.